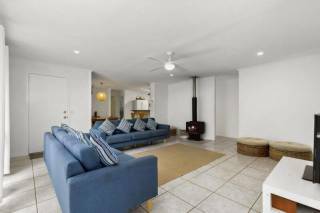 Pets Allowed - This large family beach house also has great ocean and beach views. 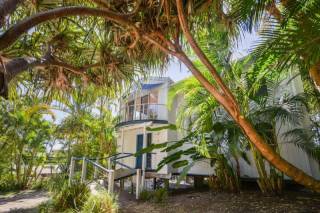 Large beach house with great ocean views from Moreton Island to Cylinder Headland. 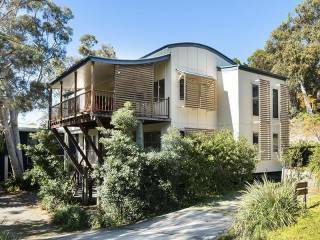 Situated adjacent to a bush reserve and ideal for two families. Two large covered decks both north facing. 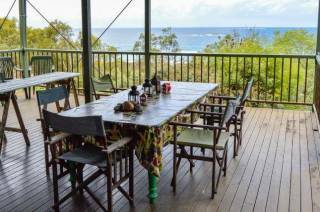 Birdwatching, Bushwalking, Scuba-Diving, Dive Charters, Fishing - Beach, Fishing - Charters, Horseriding, Kayaking, Photography, Sandboarding, Surfing, Swimming, Tennis, Marine Animal watching, Walking, Whale Watching.